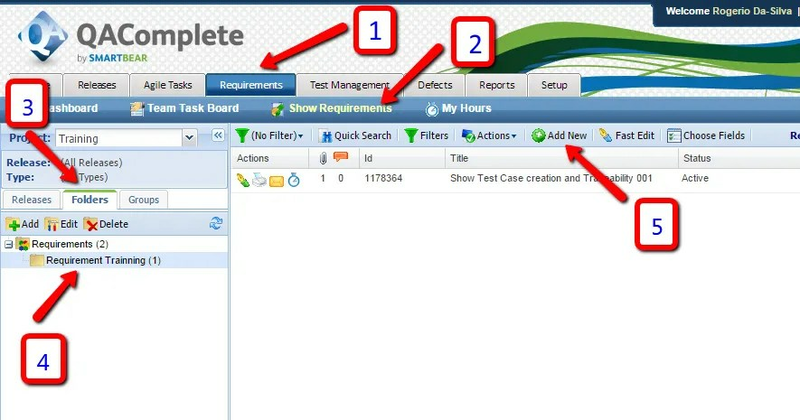 Before start to upload or create your test cases, scripts or procedures in QA Complete, is important to upload all the requirements, User Story or any information you are using to base your test cases in the requirement area so we link them later on each test case created to have trace-ability of where the information is gathered from. This is the information needed to include in addition to a new Requirement. 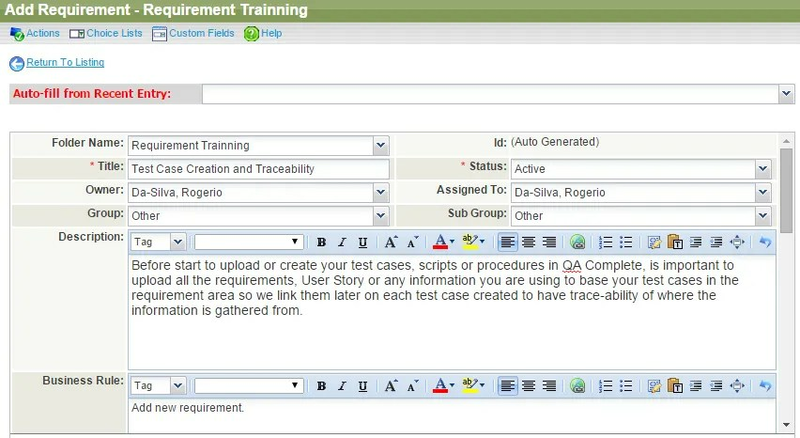 Copy the Requirement, User Story, User Case from Any other source or Service Readiness from a documentation. Book time spent – Not currently used in Hermes projects.